Jean Jacques Perrey died in Lausanne because of Lung Cancer. 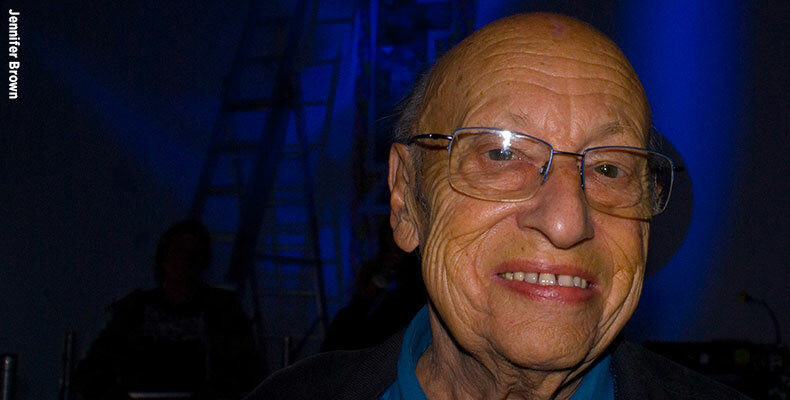 (USA, The AV Club, The Guardian) Jean Jacques Perrey famously known by his invention on electronic music. His instruments are mainly a modular synthesizer. He popularized the genre Space Age Pop and producing many albums that famously made with his friend, Gershon Kingsley called “The In Sound From Way Out”. Perrey died in Lausanne, Switzerland, on Friday “from a very quick and violent lung cancer,” according to his daughter, Patricia Leroy. His debut album called “Prelude Au Sommeil” was a conceptual album that made for inducing your sleep. In his 1970 “Moog Indigo” he made a remake of “Flight of the Bumblebee” using the sound of real bees and their buzzing were shifted and arranged again with mr.Perrey, it took 46 hours he said. Born in Norhtern France on 20th January 1929, playing as an accordionist for Christmas party when he was 4, he played great. Writers like Aldous Huxley, Arthur C. Clarke and Ray Bradbury are shared the same ideas with his music, he adored them by making new ideas for him. In 1953 he met Georges Jenny and made one great collaboration. His first build in synthesizer was named after Georges last name, “Ondioline”. His music inspired a lot of musician from hip hop to now generation producers, and appeared in commercials and on TV shows including The Simpsons and Comedy Central’s South Park. Check out more of his music from the website here.